Kurt-Lee Arendse, how good are you?”. 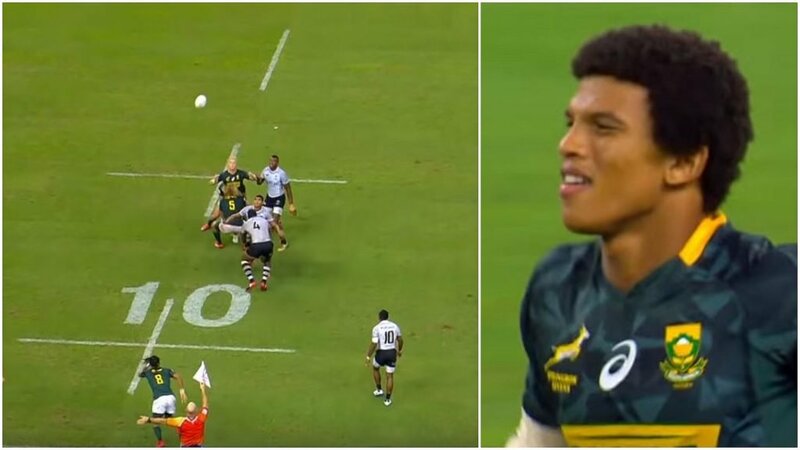 South Africa youngster Kurt-Lee Arendse scores a brilliant try with next level speed at the Singapore 7s. The Springbok Sevens team secured convincing wins over Scotland, Canada and Fiji to finish top of their pool on the first day of the HSBC Singapore Sevens on Saturday and will face Samoa in the Cup quarter-finals on Sunday.